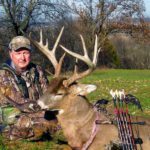 John’s Note: Some years ago I’d met my longtime friend Brad Harris of Neosho, Missouri, the well-known outdoorsman and TV personality, and his friend Scott Bennett, to hunt the big Kansas corn-fed bucks. 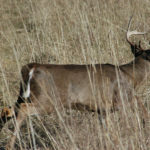 For several years, Harris had hunted Kansas and had bagged some monster-sized whitetails there. 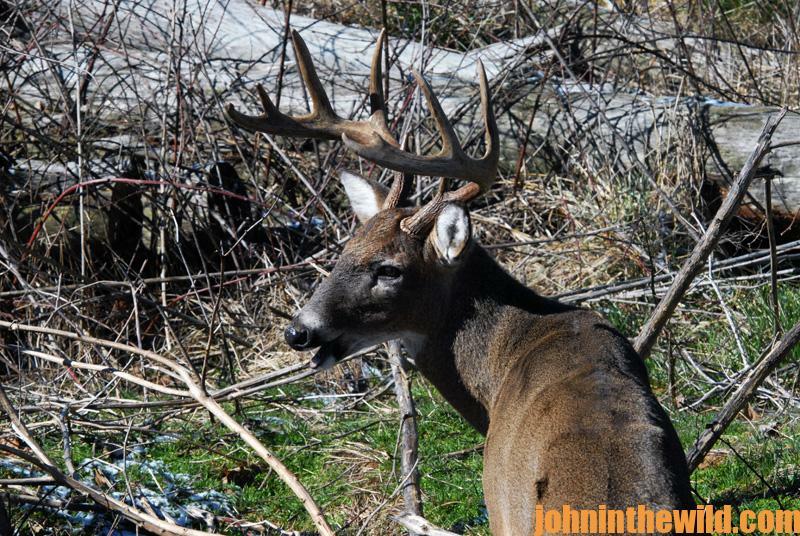 He’d invited me to come and try my luck on this area’s trophy bucks. 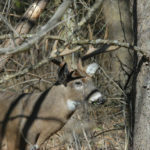 “Please, Lord, let me make this shot,” I prayed silently and fervently, as the crosshairs on my Nikon riflescope (www.nikonusa.com) settled behind the 9-point buck’s shoulder. I usually didn’t pray before I took a shot. But perhaps I should. 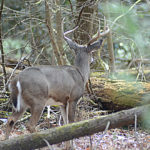 I’d already missed two nice bucks on this hunt. As the light faded, I knew I wouldn’t see any more deer before dark descended. All day I’d lived with the misery of my previous two misses. 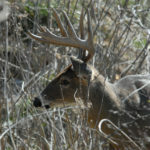 But I hoped this buck would be my redemption buck. I simply had to make the shot. 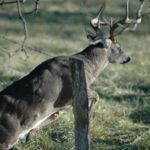 The afternoon before I arrived in Kansas to hunt, Greg Ritz, one of our hunting companions, had missed a huge buck on the same land. 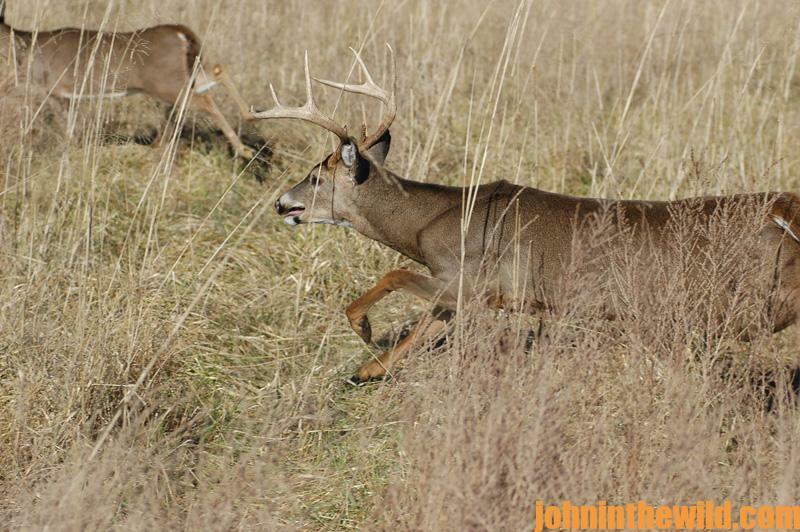 “The buck was 10 points or better and easily would have scored in the 150 class,” Ritz told me. Harris and Ritz followed-up the shot but found no blood. All night I dreamed of that big buck Ritz had missed. We’d decided earlier to meet up with Harris and the rest of our 12-man hunting party at 11:00 am and have lunch in the field. Then we planned to return to our same stand. 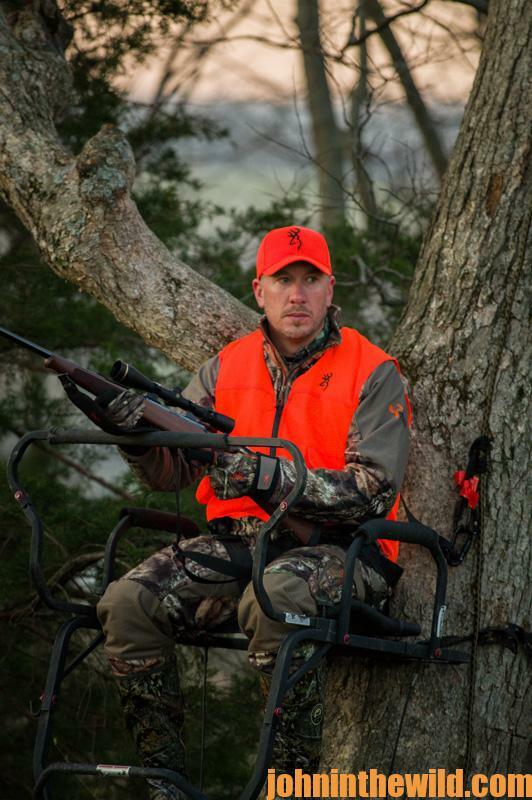 When we left our tree stands about 11:00 am, Bennett already had seen three very-nice bucks.